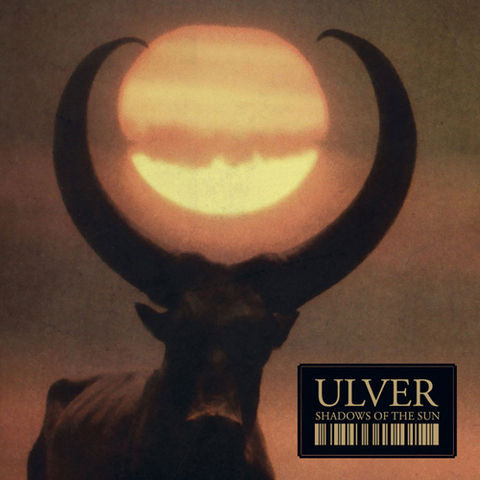 Shadows of the Sun is an ambient album by Ulver. By this point in their career, anyone familiar with Ulver should know that you can’t predict what direction they’ll take on their next album and to live up to their reputation, they followed up their noisiest album in about a decade (Blood Inside, 2005) with one of their softest albums to date. Unlike the swirling keyboard sounds that are common to ambient music, Ulver utilises live instruments to make up the bulk of the album and go as far as including a theremin on Eos and Funebre while hiring a string quartet that appears on many of the songs. If sombreness could be personified by any musical work it would be Shadows of the Sun. If you listen to Shadows of the Sun casually a lot of the music can blend into a long soundscape but if you pay attention you will hear thoughtful piano melodies and dramatic strings that make Shadows of the Sun an exceptionally cohesive, low key album perfect for the small hours. Kristoffer Rygg’s voice remains within the baritone range for most of Shadows of the Sun, which suits the theme of the album perfectly and happens to be one of his strongest performances with Ulver. Ulver shakes off the hazy atmosphere by weaving glitchy noises and thudding percussion together on songs such as Like Music, a calm piano ballad that turns into an eerie dark ambient soundscape and Let the Children Go, which builds up to a dramatic martial industrial anthem with another appearance of the trumpet to avoid any accusations of monotony. Another standout moment is the cover of Black Sabbath’s Solitude, which holds true to the original but Ulver manages to make it their own song by making the bass more prominent and replacing the flute with the trumpet. It holds the same feeling as the original and surprisingly, it fits in with the rest of Shadows of the Sun despite it being the only rhythm based song on the entire album. The cover art for Shadows of the Sun is actually a good reflection of the album once you’ve heard it and although music doesn’t fit neatly into a single genre, ambient is the closest you will get given the texture heavy nature of the songs. Shadows of the Sun is a creative set of soundscapes that continue to explore the prevalent melancholic themes Ulver revel in to create (and reinvent) their unique musical vision with.